Home / Blog / Surgical Care & Procedures / How Does a da Vinci Robotic Surgery Work? Robotic surgery is becoming increasingly popular among surgeons because of its great precision and quick recovery time. You may have heard a lot of hype surrounding the da Vinci robotic surgery, but also may be wondering: how does it actually work? The da Vinci system has two main components: the tower and the console. The tower consists of a large base that has four robotic arms coming off of it at different angles and heights. This is the piece that is used directly on the patient. Three of the arms can hold numerous different surgical tools and the fourth is used to hold a 3D camera. The console has a screen that magnifies everything that comes through the camera, allowing the doctor to have a clear, close-up and 3D view of all that’s happening during the procedure. The surgeon is able to move and manipulate all of the robotic arms on the da Vinci system with controls on the console that are extremely precise. 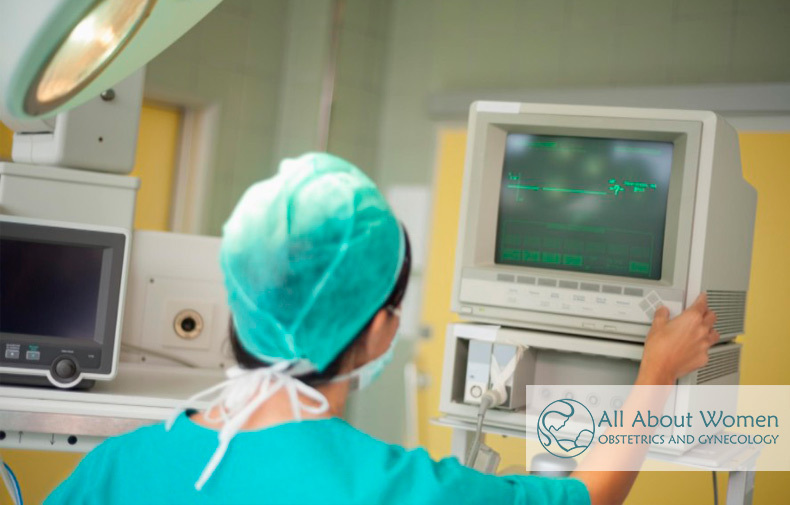 The console is also designed to be comfortable for the surgeon so they can have optimal focus throughout the procedure. In addition to the surgeon performing the procedure with the da Vinci system, there’s also another surgeon (or assistant) who stands by the tower and the patient to make sure everything is positioned and working as it should. There is also a nurse and anesthesiologist present during the da Vinci procedure. If you’re thinking about a da Vinci robotic surgery, talk with your doctor about whether or not it’s the right choice for you. There are numerous benefits to it and you can be back on your feet quickly with minimal pain. The gynecological surgeons at All About Women have extensive experience in robotic hysterectomies and other gynecologic procedures. Make an appointment today at our Gainesville or Lake City office.